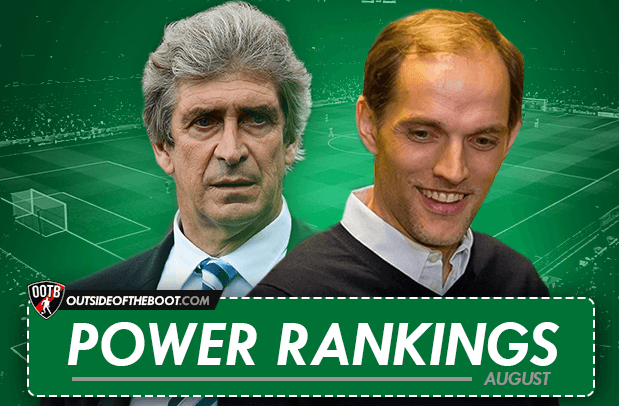 A new mini-feature on the site for the new season is the introduction of the manager Power Rankings, where every month we list out the Top 5 tacticians from across Europe’s top leagues. August’s Power Rankings feature five individuals from three leagues, with some surprises packages and a few familiar faces. 48-year-old Stephane Moulin guided Angers into the top-fight after a 23-year-absence, and ex-Ligue 1 veterans have taken well to life in the big time, conceding just a single goal in the opening 4 games and thus starting the season with an unbeaten run. Moulin’s men started the campaign against the 2012 Ligue 1 champions, Montpellier, and surprised many as they secured a 2-0 win away from home. The game saw Angers take the lead after just four minutes as Abdoul Camara neatly side footed a shot; Gilles Sunu then smashed another 10 minutes from time. A slightly disappointing goalless draw at home to Nantes followed, before Angers overcame fellow newly promoted side Gazelec Ajaccio 2-0 away from home. Both goals came from Cheikh Ndoye including the first after just over a minute of play. Angers still await their first victory at home as a 1-1 draw with Nice before the international break, though still positive, failed to replicate the exciting start to the season. Formation used: Moulin has deployed a 4-1-4-1 formation that can quickly morph into a 4-3-3 while in attacking given the inclination of the wide midfielders to make runs into the box. Key player: New signing Cheikh Ndoye has kept regular captain Olivier Aurac out of the side, taking over the captain’s arm-band and playing a key role in central midfield. His brace against Gazelec Ajaccio also make him the sides’ top scorer. With clubs like Juventus, Roma, Inter Milan and Chelsea on his CV, it was always a surprise that Claudio Ranieri moved to Leicester City. But the experience of the Italian has shown in the Foxes’ start to the season. Though the 4-2 victory over struggling Sunderland on the opening day surprised many (primarily due to the margin rather than the result itself), as Ranieri’s side finished game-week one on top of the league. The following victory away to West Ham is what impressed on-lookers. Riyad Mahrez got on the scoresheet again to add to his opening day brace, while Shinji Okazaki’s kung-fu finish had got the ball rolling. The impressive results kept coming as Leicester pulled off a late draw against Spurs; Delle Alli gave the away side the lead in the 81st minute only to see Mahrez score a minute later. It took another late goal from Jamie Vardy to seal a point away to Bournemouth but few would have thought the side would be as high as 3rd in the table and unbeated. Formation used: While the world talks modern football, Ranieri has shifted to basics and employed a 4-4-2 with two deep lying central midfielders. The game against Bournemouth did see a temporary change to a 4-1-4-1. Key player: While Leicester’s success has been a quality manager getting the most out of a hard-workgin squad, Riyad Mahrez’ start to the campaign stands out. Joint top scorer after the opening 4 games and plenty of special moments, the Algerian has certainly impressed. City have made their mark in the transfer market and started the season in dominating fashion. While 3 of their 4 victories are results you’d expect the former champions to make, the impressive performance against Chelsea propels Pellegrini into these rankings. Pellegrini’s men have wrapped up 10 goals over the opening four games and are yet to concede. After a disappointing campaign last season, Pellegrini seems to have found a winning combination which sides are struggling to contain. Big money signings in Raheem Sterling, Nicolas Otamendi and Kevin De Bruybe have only raised expectations, but the Chilean coach has thus far justified his spending. 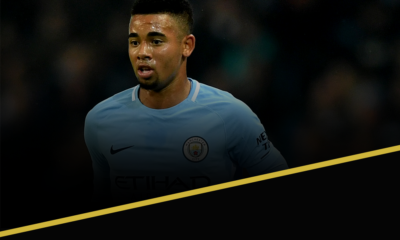 City’s season started with a 3-0 win away to West Brom, and though a difficult 2-0 away victory to Everton which preceded a win over Watford by the same scoreline have aided in the impressive start, it was City’s 3-0 win over defending champions Chelsea that really made the league take note. It was also only Pellegrini’s second victory over Mourinho in nine attempts, since defeating his counter-part during his Malaga days. 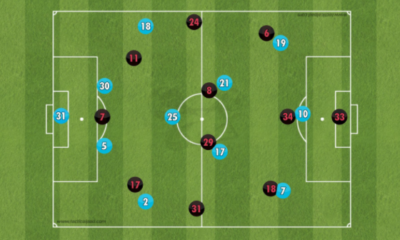 Formation used: Pellegrini has used variations of the 4-2-3-1 (as expected), but it’s the new found threatening used of the wings that has installed City as early season favourites for the title. Key player: It’s hard to find a stand-out performer from City’s impressive side but David Silva’s influence from a central area, aided by an impressive showing from the wide men, has seen the Spaniard lead the assists chart. Despite the poor season, replacing Jurgen Klopp was always going to be a task. But ex-Mainz head coach has taken well to Dortmund supporters, starting the season better than his predecessor ever did. Dortmund’s season started fairly early on and though only league standings are considered for these Power Rankings, it would be fair to mention that Tuchel’s men have scored 30 goals in the opening 8 games of the season. 11 of those goals have come in 3 Bundesliga clashes. Dortmund started the season with a statement 4-0 victory over Borussia Monchengladbach, the side that finished 3rd in the previous campaign. Another 4-0 victory away to newly promoted Ingolstadt heaped praises onto Tuchel’s implementation of the possession based approach. Hertha Berlin were the first to score against Dortmund (a goal that shouldn’t have stood), but Die Schwarzgelben secured a 3-1 victory and entered the international break on top of the Bundesliga. Formation used: Tuchel has put his faith in the 4-1-4-1 approach, ensuring the single defensive midfielder provided cover to the defence while the forward line can keep their fluid play going. 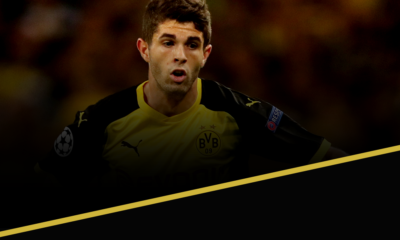 Key players: A tough call this, and though Henrikh Mkhitaryan is beginning to finally justify the faith shown in him, the impressive showing of new young signing Julian Weigl, playing that defensive midfielder role, has allowed Tuchel’s system to function. You can read Thomas Tuchel’s Tactical Philosophy here. When this website started, Garry Monk was still playing first-team football for Swansea. His rise from player to manager has been quick, and undeniably impressive. His work has seen Swansea continue to establish themselves in the Premier League, and the start this season has only further justified Monk’s ability as a manager. Swansea started the 2015-16 season away to the defending champions. While most had the result predicted given Jose Mourinho and Chelsea’s opening day record, Swansea pulled off an impressive 2-2 result helped by Jefferson Montero’s displays against Branislav Ivanovic. Another positive result followed with a 2-0 victory at home to Newcastle, while the 1-1 draw with Sunderland came as a bit of a disappointment. But Swansea rounded of their start to the season with another impressive showing against a big side, defeating Man United 2-1 after going a goal down. It was also Garry Monk’s third straight victory over Louis Van Gaal. Formation used: Monk has implemented a 4-2-3-1 formation at the start of the season, allowing to get the best out of both traditional wingers and inside forwards. Key Player: All of Jefferson Montero and Jonjo Shelvey have stood out at the start of the season, but it’s new signing Andre Ayew that has been an incredible member of Swansea’s squad, and arguably the signing of the season. You can read Garry Monk’s Tactical Philosophy here.